One project for a class on computer-aided mechanical design was to make a small (<4" long) injection molded spoon. The project was meant to introduce us to injection molding design techniques and the SolidWorks mold tools and CAM tools that would be required to achieve our end goal. We first designed the spoon from scratch, and then designed the mold halves to actually make the part. 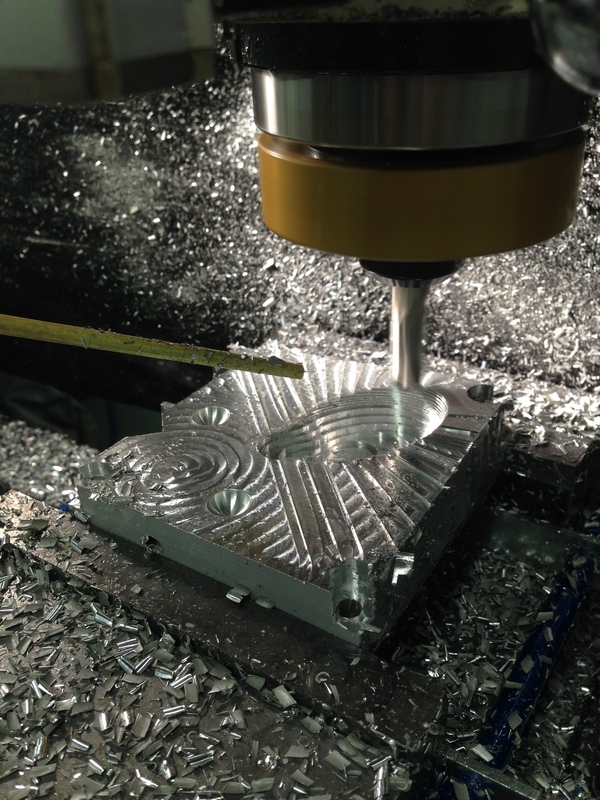 Using a plugin called HSMworks, we created tool paths in SolidWorks and milled the two halves on 3-axis mills. We used a small table-top Morgan Industries injection molding machine that was entirely hand operated, but we still managed to have little flashing on the part. The aluminum tooling took a number of hours to complete, especially given the non-planar parting line that our spoon required.